In this post, we’ll take an in-depth look at the differences between traditional VC funding and ICO funding with a focus on proper treasury and risk management practices in the cryptocurrency space. In the traditional world of startup funding, business owners typically approach venture capital (VC) firms and other private equity investors with a proof-of-concept and a solid business plan for future expansion. In this model, VC firms, comprised of experienced and knowledgeable investors, play the role of a gatekeeper between a startup company and its potential funding. In exchange for early-stage preferred stock, companies receive capital and guidance. Raising money through initial coin offerings (ICOs) is a bit different. In the past, only accredited investors, VC firms, and other private equity investors were able to invest in startup companies at an early stage. With the rise of cryptocurrencies and ICOs, all of that seemingly changed overnight. Suddenly, almost anyone with access to Bitcoin or Ether could invest in hundreds of new blockchain startups. This resulted in USD5.6 billion of ICO funding in 2017, and USD6.3 billion in just the first quarter of 2018. Since then, ICO funding has dropped significantly due to the effects of a bear market and regulatory developments worldwide. Regardless, it’s obvious that ICOs have changed the world of startup funding, and it’ll be interesting to see how initial coin offerings and security token offerings (STOs) evolve over the next few years. Twitter, Uber and Instagram are three of the world’s largest technology companies. Respectively, these three companies received USD5 million, USD11 million, and USD7 million in Series A early-stage funding after developing a working proof-of-concept. With these numbers in mind, the astronomical level of capital that blockchain projects were able to raise in 2017 and 2018 is staggering. For projects with good intentions, experienced leadership and savvy financial management, the ICO model of fundraising can present a once-in-a-lifetime opportunity to leapfrog over the hurdles of later-stage funding in the traditional VC model. Another major difference between VC funding and ICO funding is the level of investor relations. When venture capitalists invest in startup companies, they are actually buying shares of stock that equate to a level of ownership of the company. Thus, VCs are typically able to influence the direction of a company by participating in the decision making process. On the other hand, investors who buy into ICOs usually have zero say in the company’s day-today operations, as cryptocurrency tokens do not represent partial ownership in a company. While most blockchain companies regularly interact with token investors through social channels such as Telegram and Reddit, they are not legally required to take community opinions and ideas into consideration. This is an important difference between VC-funded ventures and those funded through token sales because investor relations can be crucial for long-term success. Since VCs own shares in a company, they are incentivized to protect their capital investment by suggesting financial management guidelines and protocols to startups. Most crypto startups do not have this layer of financial management advice. Next, let's take a look at the importance of capital preservation and treasury management, and discuss why so many blockchain projects are at risk of declaring bankruptcy after raising tens of millions dollars through initial coin offerings. The number one priority of a startup company is capital preservation because the amount of money in a company’s bank account is directly correlated with its “runway” – the amount of time a startup has before going underwater, provided income and expenses stay constant. It’s crucial for startups to manage capital conservatively and to never speculate with funding provided by third -arty investors. Traditional VC funds usually provide capital to startup companies in the form of USD, which is then stored in savings accounts or money market accounts with a higher interest rate. The idea is to find a compromise between preserving the deposited capital and safely earning interest on the capital. The average yearly interest rate for money market accounts in the United States is 0.08%. That’s USD800 on a USD1 million deposit. Many blockchain projects have done things a little differently. Below are two examples of projects that conducted ICOs. While these numbers are sourced from real projects, we will be substituting their names with Project A and Project B for the purposes of this post. Project A raised 299,898 ETH (~USD111 million) in June 2017 with 224,419 ETH (~37,029,135) remaining in October 2018. Project B raised ~USD13.8 million in September 2017, and diversified ICO funds into BTC, ETH, USDT and USD in 25% portions. Project A still has ~75% of the ETH raised from its ICO. During the ICO, this 224,419 ETH was worth ~USD83 million. At the height of 2017’s bull market, this ETH was worth ~USD269 million. Today, this portion is worth ~USD37 million. Maintaining 75% of a company’s treasury holdings in an extremely volatile asset can lead to problems. If a company’s initial business plan and expansion plans were based on an initial funding figure, it can then be difficult for that company to execute this plan after losing a significant portion of treasury value due to the volatility of cryptocurrencies. This goes both ways of course. It’s possible that Project A sold 25% of their ETH at the height of the bull market, but capital preservation is about risk management, and any act of speculation with investors’ money goes against that. Counting on favorable market conditions to maintain an adequate treasury can backfire. Project B ran into problems by keeping 50% of its capital in BTC and ETH. Over the past few months, Project B’s public crowdsale ETH address shows consistent liquidations of 500-1,000 ETH on a bi-weekly basis. Since these liquidations didn’t happen during 2017’s bull market and the subsequent start of the bear market in early 2018, it’s probable that Project B prioritized spending their USD and USDT, while keeping their BTC and ETH holdings for speculative purposes. As a result, Project B is forced to liquidate ETH, a crypto that has fallen nearly 90%, to keep up with monthly expenses. Without prior experience, treasury management can be a tricky landscape to navigate. In addition to ETH, many ICOs also accept BTC, XRP, BCH, LTC and more. Following the conclusion of a successful, projects may look to consolidate funds into BTC, ETH and USD for more stability. This process of consolidation usually requires a third-party OTC broker that charges a fee to source the necessary liquidity required for large-scale post-ICO settlements. In the end, projects that settle the traditional way will be faced with a broker fee and an industry average 3% price slippage (USD300,000 for a USD10 million settlement). 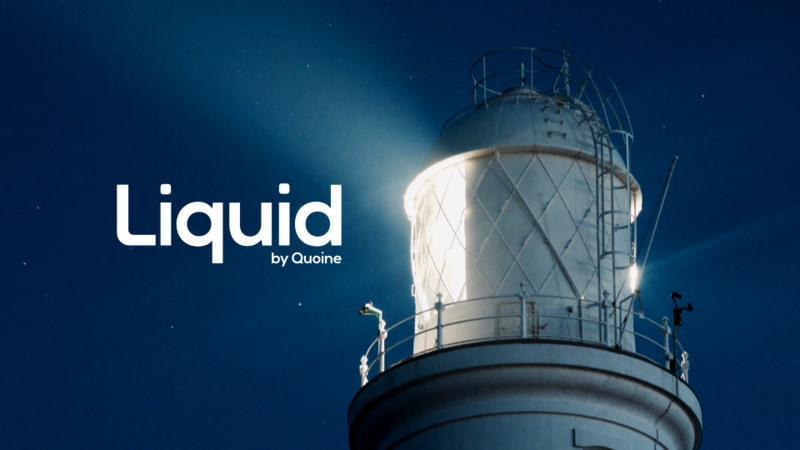 In addition to co-marketing opportunities, built-in customer verification and straightforward token listing service, Liquid's token sale platform also offers industry-leading treasury management services. Conducting a token sale through Liquid eliminates the need for a third-party OTC broker and removes the lag time and volatility risk between ICO conclusion and treasury settlement. Furthermore, token issuers using Liquid can get settlement in a variety of cryptocurrencies and fiat (USD), and while the JFSA-audited Liquid exchange has access to deep liquidity pools to reduce price slippage to 0.01% - that’s 300x better than the industry average. After reading this post, hopefully you have a better understanding of importance of proper treasury management. The majority of money from investors should not be exposed to the highly volatile nature of the current cryptocurrency market. Crypto is the future, but a balance needs to be struck when it comes to using funds raised in token sales to deliver on roadmaps and milestones. Is Bitcoin a bubble – or something else entirely? Bubbles rise before they pop – a strong and familiar metaphor in financial markets. What risks are specific to the cryptocurrency sector? Conventional financial institutions are expected to quantify risk factors like market risk,.. In this week's crypto news roundup, we hear about a record day for Bitcoin futures trading while..